Petrol prices have been fallen for the fourth time over the past one and a half months. According to a report by the ministries of Industry and Trade and Finance, petroleum prices have been cut from December 6. 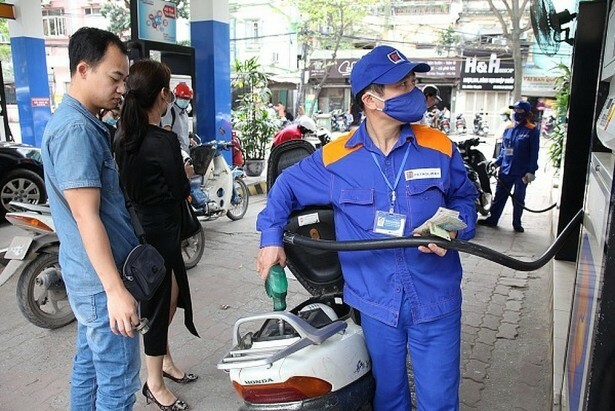 The retail price of biofuel E5RON92 and RON95 was cut by VND1,446 and VND1,513 per litre respectively. Meanwhile, the prices of diesel dropped by VND1,379 per litre and kerosene by VND990 per litre. Mazut decreased by VND784 per kilo. E5RON92 is now being sold at VND17,181 per litre, while ERON95 is sold at VND18,459. The maximum prices for diesel, kerosene and mazut were at VND16,258 and VND15,252 per litre and VND14,402 per kilo consecutively. The two ministries have decided to use VND800 from the petroleum price stabilisation fund for diesel, kerosene and mazut, while the level for E5RON92 and RON95 has been kept unchanged. The prices were applied from 3 pm today. This has been the fourth petroleum price cut since October 22.